How to Work and Travel in Southeast Asia? Southeast Asia is one of the most beautiful regions of the world! With many islands, exotic beaches and hectic cities, the region is ideal for doing a work exchange because of the variety of destinations. Thailand, Indonesia, Vietnam, and the Philippines are some options of countries where you can exchange work for accommodation and get to know the beautiful scenery, famous cuisine, and the cultural diversity the continent has to offer. 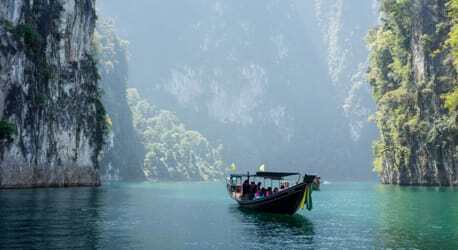 Southeast Asia is a very eclectic region and attracts all types of travelers, mainly those that like to travel alone. A great form of traveling and working abroad on a budget is through doing a volunteer exchange. A few hours of work in exchange for accommodation and you can save enough money to visit bustling Bangkok, the islands of the Philippines, the amazing Maya Bay, or so many other incredible places there are to see.